“Two Key” LLP provides professional support to subsoil users in the development of projects for exploration and production of minerals. For 15 years of work the company has become one of the leaders in the field of geological exploration, mining engineering and consulting. We offer a turnkey package for the development of new and existing projects, developing individual effective solutions in terms of time and cost at all stages of the subsoil use project. Our team brings together competent people and highly qualified specialists recognized in the industry and qualitatively solving any complex tasks in a short time. The company possesses all necessary licenses and resources for performing both field and cameral work in geological exploration, development of mining projects of any complexity: open, underground mining, extraction by underground well leaching method, including environmental design, preparation of safety declarations, estimates and feasibility studies calculations. 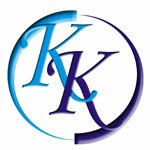 We work in all regions of the Republic of Kazakhstan and beyond. Our reputation is the result of successfully implemented projects.